Bhakti-yoga is seen as the direct path to perfection that leads to the very heart of religious consciousness. Ramanuja’s concept of bhakti (devotion) emphasised the practice of self-surrender through which a person realises his personality, strengths and weaknesses, and hidden powers. Bhakti, for him, acts as a link between mortals and the Ultimate Reality. This book examines the views of Visistadvaita of Ramanuja on bhakti and prapatti (self surrender). It studies in-depth the meaning of God, the soul and the Supreme Soul, and the world; the concept of bhakti; the different stages of bhakti referring to numerous sources that include the Vedas, the Bhagavad-Gita, the Upanisads and the Puranas. It focuses on Ramanuja’s teaching of bhakti, examining his philosophy in general and his sevenfold practice, Sadhana Saptaka to generate bhakti that expounds the qualities and significance of discrimination for viveka, freedom from sensual attachment or anger for securing vimoka, repeated reflection of God, performance of religious duty for inner mental strength, development of ethical virtues, freedom from despair and freedom from excessive joy. It understands the relevance of symbols in devotion and examines nature and use of symbols in Buddhism and Hinduism. The scholarly study discusses the importance and cultivation of peaceful emotions, and need for prayer and dietary regulations in devotion. The volume will prove an indispensable work for scholars of Indian philosophy and religious studies. Mr. T K Sribhashyam obtained his Master’s degree in accountancy as well as in Hindu philosophy He also received intensive lessons on yoga philosophy and Indian a psychology. 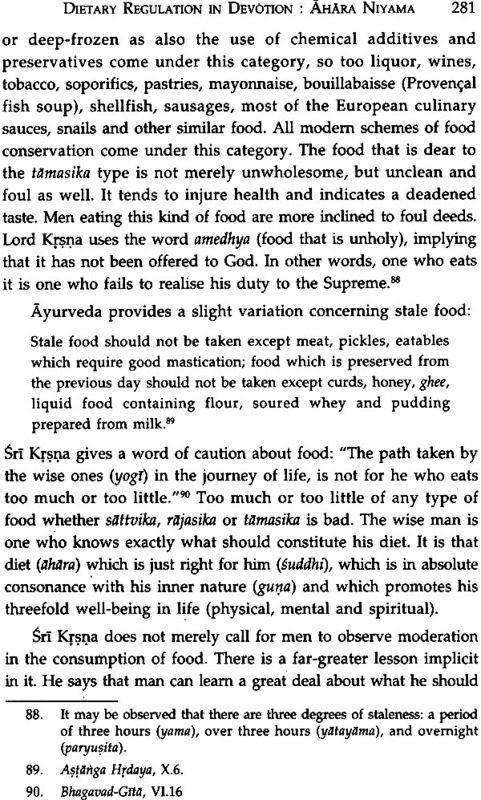 Ayurveda, the Indian medical science, was another subject of study under his father Shri T Krishnamacharya Since 1971 he has been transmitting his father s teachings in Europe in French as well as in English In 1999 the Mysore Sanskrit College conferred on him the title of Acharya for his faithful and devoted teachings of Hindu philosophy He is the Head of all Yogakshemam schools in Europe His book Emergence du Yoga (in French) has been recently published from France and its English translation is under preparation Two of his books in English viz. Way to Liberation, Moksa Marga—An Itinerary in Indian Philosophy and From Devotion to Total Surrender, Shanagati Yoga — In the Light of Indian Philosophy are appearing from India in 2012. He has published many articles in different yoga journals in Europe. He is an honorary life member of the International Yoga Federation and the World Yoga Council. Mrs. Alamelu Sheshadri, second daughter of Shri T. Krishnamacharya, is graduated from Mysore University. 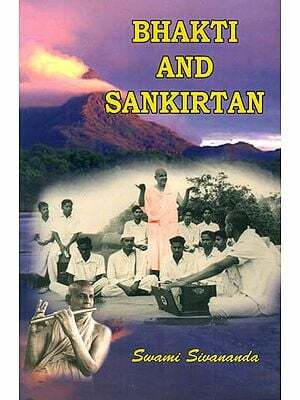 Shri T. Krishnamacharya initiated her to Yajurveda, taught her all major Upanisads, Brahmasutras and the Bhagavad-Gita in the traditional way. He also trained her in yoga, both practically and philosophically. From 1985 until 1989 she continued studying many philosophical subjects, especially Visistadvaita. We meditate upon that Supreme One, who has the neck and face of a horse, who has a radiant, blemish-free crystal body, who is the embodiment of Divine Knowledge and Bliss, and who is the support of all branches of learning. MIND is like the wandering moon. There are always fluctuations in the emotional conditions. This is natural in all living beings. However, man is capable of stabilizing his emotional agitations by personal efforts through various methods. The easiest and successful way is to make sincere appeal to God with love. This type of emotional loving approach to God is bhakti (devotion). Bhakti is supreme love to God. Love springs from God and enters into the human heart. The abundant treasure of God’s love is hidden in the human heart. That is to say, the human heart is overflowing with God’s love. Man has only to realise this wealth of God’s love in him and feel its richness. God shelters man from the scorching miseries of life, when man clings to God. Loving shelter from God is the reward of bhakti practice. 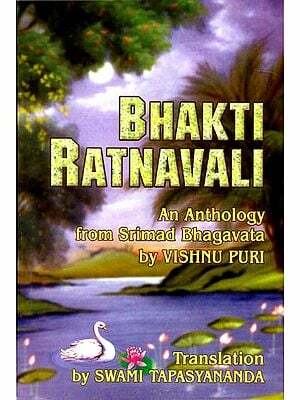 Showering a brilliant light amid gloomy darkness, radiating the sweet fragrance of life, bringing reconciliation to all contradictions are (some of) the gifts of bhakti, in spite of innumerable contradicting views. Bhakti is the golden bridge which links man on earth to the divine paradise. 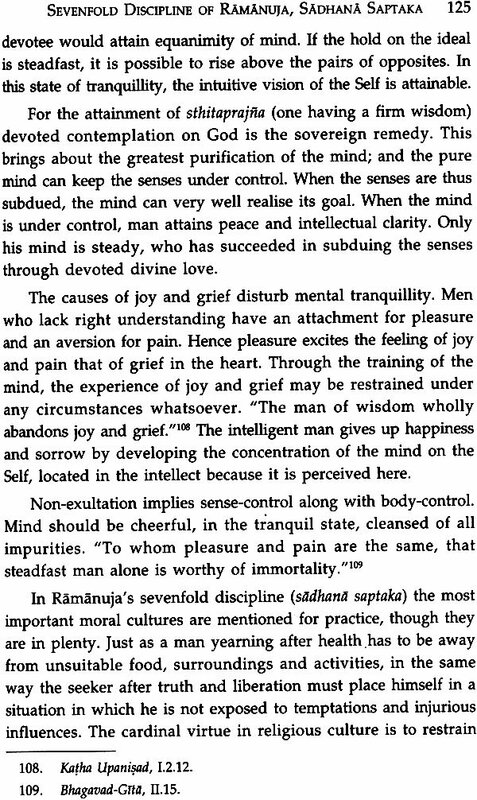 To train the mind for divinity, there is no road equal to devotion. Words fail to bring out the pleasure of devotional practises (bhakti sadhana). Only a man who knows the place can tell the right direction to reach it. Our father, T. Krishnamacharya infused bhakti in his children and in his disciples right from the beginning. God’s blessings and our father’s sailing grace helped us to move on in this writing. In the name of God, this work is dedicated to our father (our guru) with profound respect and gratitude. In a work on bhakti, it is unavoidable to use Sanskrit terms. The use of such terms is minimised and the nearest English equivalent is provided. An exhaustive glossary is appended. This work does fall short of the degree of excellence that might be attained. We owe our recognition to Shri Susheel K. Mittal of D.K. Printworld who took personal interest in publishing this book. Without his support this edition would never have appeared. We express our sincere thanks to Mrs. Brigitte Khan from Switzerland for her patient proof-reading. We owe our sincere thanks to all our well-wishers who helped us in one way or the other to make this book come to light. We offer a reverent salutation to India, our native land, nourishing mother of many religious and philosophical thoughts. Above all, there is the grace of God. Tins book proposes to treat the views of Visistadvaita of Ramanuja on devotion (bhakti) and Self-surrender (prapatti). Ramanuja’s religion is universal. He admitted all to his fold, but personally followed the rituals regarding initiation and worship. Philosophers of great eminence, like Sankara, Madhva, Manikka Vacakkar and others will be presented with their views too. As our father, the great Yogi T. Krishnamacharya, is the direct descendant of Natha Muni, who first founded Visistadvaita, we will also introduce a small life sketch of Natha Muni. Ramanuja was initiated to Visistadvaita through his guru Yamuna who was the direct disciple of Natha Muni. The subject is vast. Every effort wife be made to clarify the points to enable the reader to feel at ease and to suit the present-day life. All the presentations in the write-ups are taken from the great teachers of the past, who served the individuals as torch-bearers to achieve the goal of spiritual realisation. We owe all our knowledge to these souls of the past, who invested much effort in making man reach his higher planes of consciousness, thereby helping him to develop his soul together with physical developments in the process of evolution of his life. Salutations go to the ancient sages, who fostered devotion with immense love and intense care. Ramanuja’s devotion is amazing and surpasses human wisdom. Ramanuja assisted the masses in bringing the inter-relationship between man and God through his teachings on devotion. He made man realise his soul. This realisation is that principle which consists of raising one’s egoistic consciousness centred on the physical plane, to the higher and finer planes of spiritual existence. 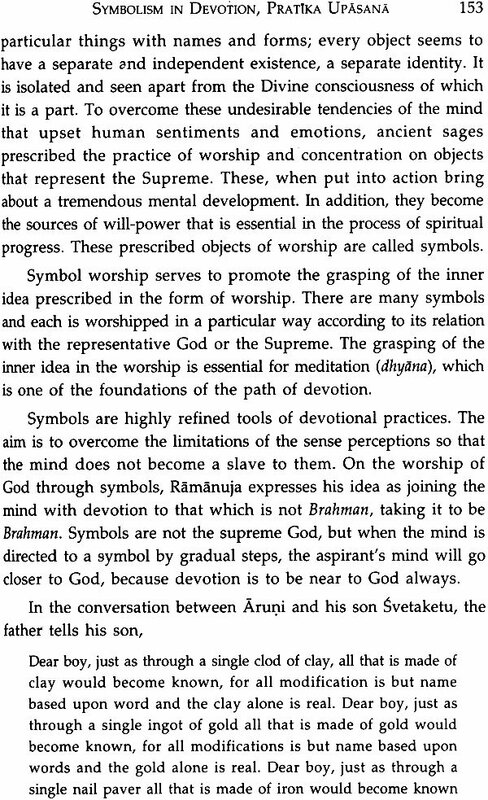 A general study of Ramanuja reveals that devotion acts as a link between mortals and the Ultimate Reality. But the culmination of devotion is when God is pleased. The attainment of devotion is when man’s trust in God reaches its highest limits. Bhakti-yoga is the direct path to perfection. It leads to the very heart of the religious consciousness. Also called bhakti-marga, bhaktiyoga is the principal means to the progressive perfection of the soul. Ramanuja’s views that love for God is to be preferred and considered higher than the wisdom of understanding. Ramanuja’s concept of devotion is for all pilgrims who seek to tread the inner way to the city of God. Through the practice of Ramanuja’s concept of devotion and self-surrender (bhakti and prapatti) a person realises much about himself — his personality, his strength, his weakness, his past mistakes, his hidden powers, etc. Thereby man gradually understands that there is an element of “God” inside himself. Mortal eyes cannot see the beauty of the Goddess Earth in its fullness. Yet, we get the glimpses of it as we gaze on the emerald green fields, the flowers in colourful blossom, and the fruits ripening on trees. All these fill our hearts with gratefulness. We adore the lovely mountains, valleys, springs, rivers and oceans. The minute parts of the Goddess Earth bless us with so much bliss. Devotion with her full loveliness surpasses the most beautiful objects in the world. When we feel the loveliness of devotion in a devotee, we feel that we are brought to the world of Supreme Bliss by the force of devotion that radiates from the devotee. Bhakti famine word according to Sanskrit grammar) can be regarded as the daughter of the Supreme Being Narayana and is nourished by Him. The Divine mother Laksmi poured her love on her daughter to make the universe being attracted to her. Words are inadequate to express the bliss one enjoys in the abode of devotion. What wealth can one aspire for when one is in the heavenly abode of devotion bhakti enjoying the fullness of her bliss?